Fully equipped with one double bed per bedroom, full kitchen, cooking utensils, dishes and silverware for up to four people. All of our three bedroom villas come with two full bathrooms with bathtub & shower and living and dinning room area. Room amenities include cable TV, telephone and terrace. 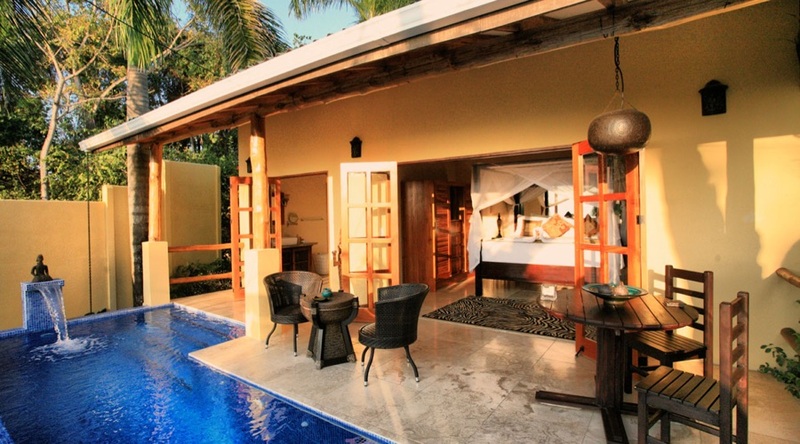 Some of our three bedroom villas offer a view of the Gulf amd/or some have their have own private pool.